Submitted by a drum corps fan. 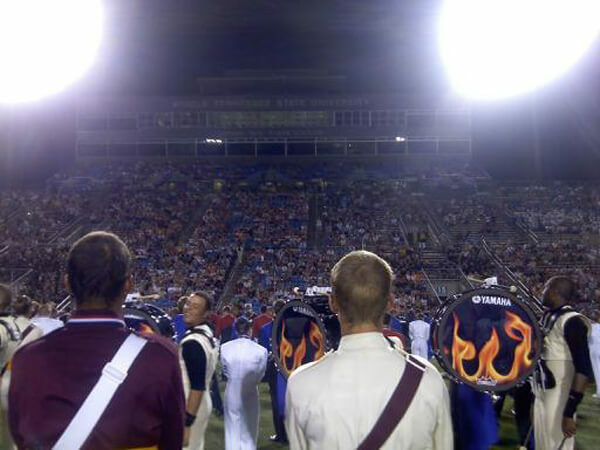 This photo was taken from the field during the 2011 Tour of Champions finale in Murfreesboro, Tennessee. It was so great to see the crowd's reaction at the horn lines and color guards from eight of the world's top drum corps!